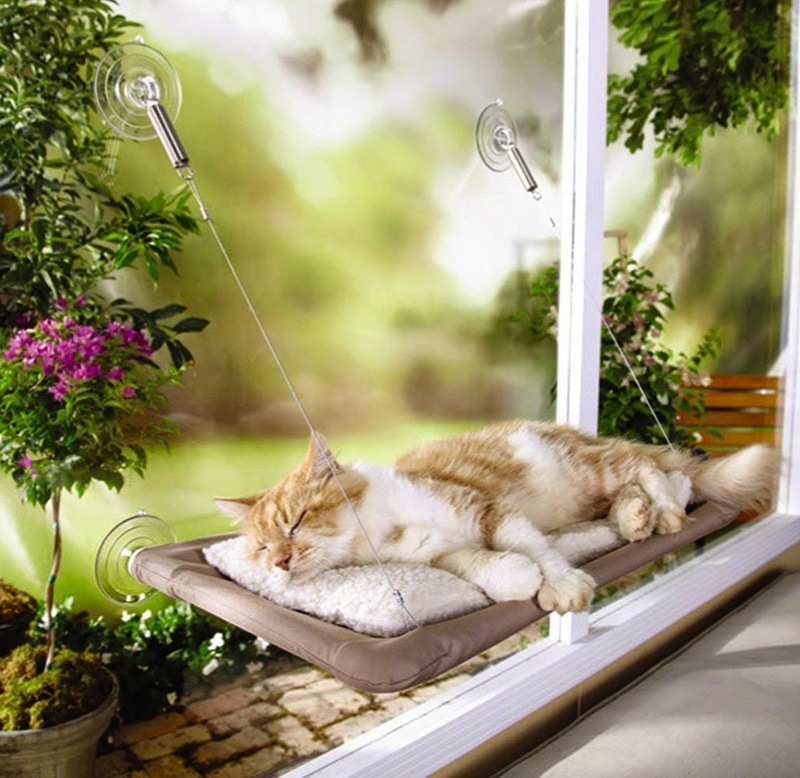 The “Sunny Seat Window Mounted Cat Bed” comes with a cushion and a laser toy. As I’m sure you’ve seen on TV this is a nice cat product bundle. And the price is right now that you can get it in stores instead of having pay all that “processing and handling” that always jacks up the price of these kinds of items. Now I don’t know about you but I’m always skeptical of these “As Seen On TV” products. 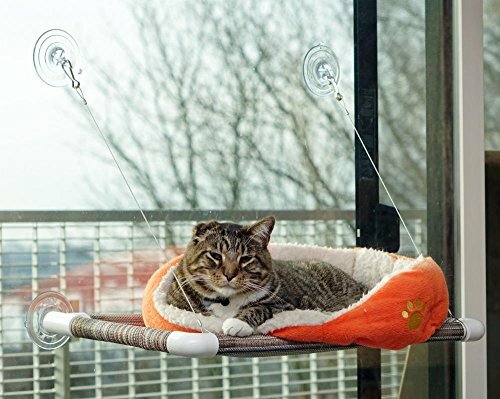 So, with this cat bed I want to know if it will actually stick to the window when your cat flops on it? I sure don’t want our Lelu to fall and hurt herself when she tries to use this. See our favorite cat cave beds (that go on the floor) right here! 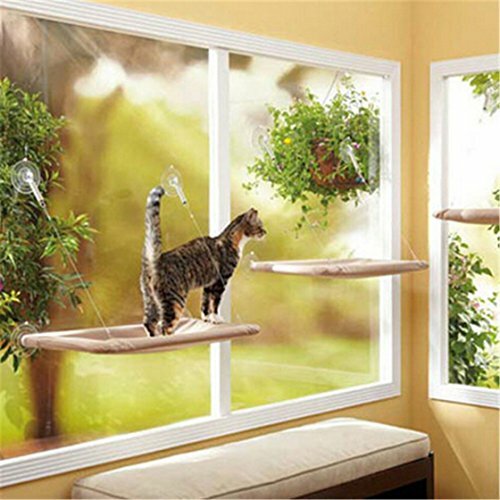 Most window mount cat beds need a windowsill to be secure. 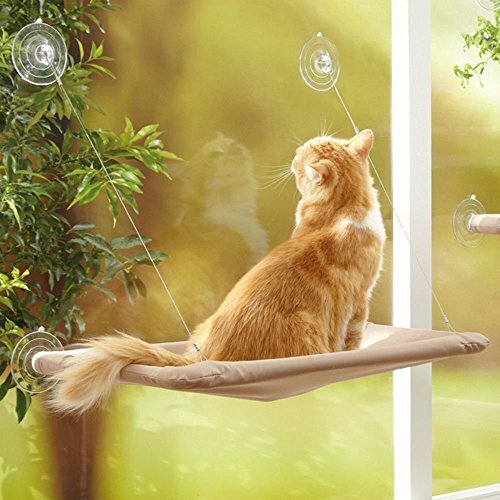 It’s nice that this one is designed not to need one but it doesn’t really matter if it doesn’t need a windowsill to function if it falls off when your cat uses it, right? Turns out this cat bed comes with industrial strength suction cups that hold up to 50 pounds! So even multiple cats can snooze in the sun on it at the same time. Customers and cats alike love this cat bed and we were going to track down a bunch for them for you but we figured we’d just show you instead. 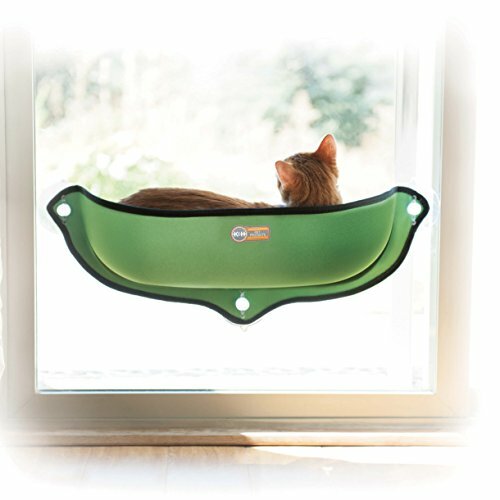 So please take a moment to see how this window mounted cat bed holds up to all the cats in an animal shelter! Find Your Local ShelterRecommendations just don’t get much better than that! 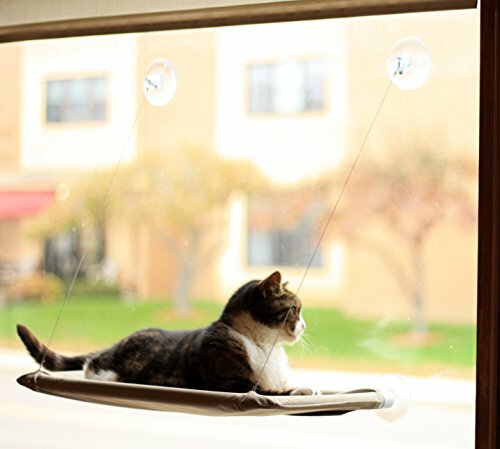 Seeing IS believing 🙂 The “Sunny Seat Window Mounted Cat Bed With Cushion And Laser Toy” gets our Spiffy Seal of Approval! Get Yours Here! 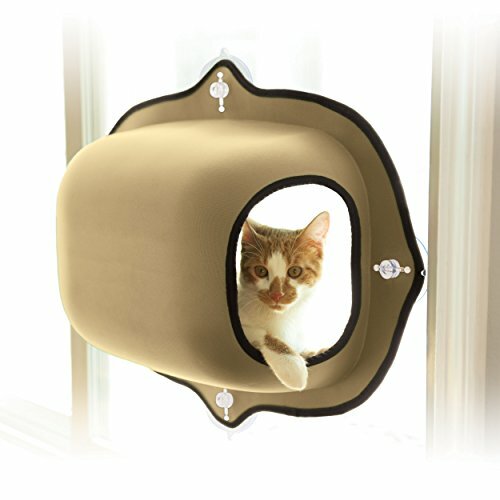 Return to our Cat Products homepage!